Home / My Blog / Free Flair: Happy Belated National Donut Day! Free Flair: Happy Belated National Donut Day! Yesterday was National Donut Day, as I'm sure many of you knew or saw on Instagram! I tried to find a donut near work, but didn't have any luck and so I didn't get to properly celebrate it. 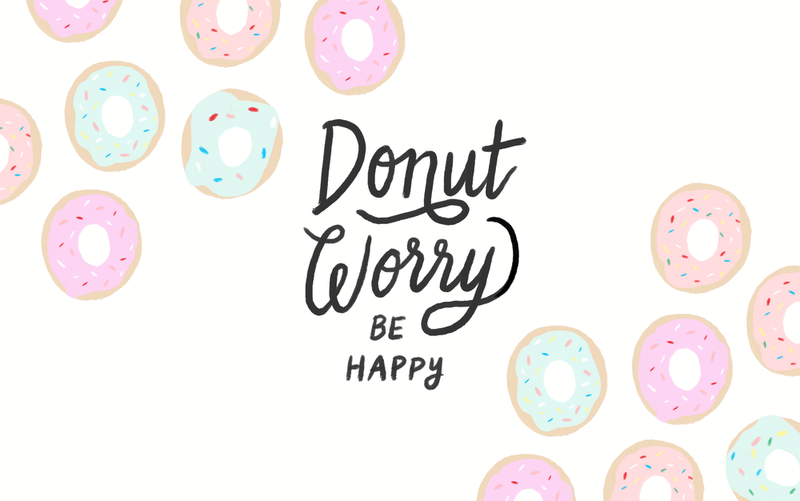 Today I decided to make a desktop and iPhone wallpaper in honor of National Donut Day though. Hope you like it! Enjoy!